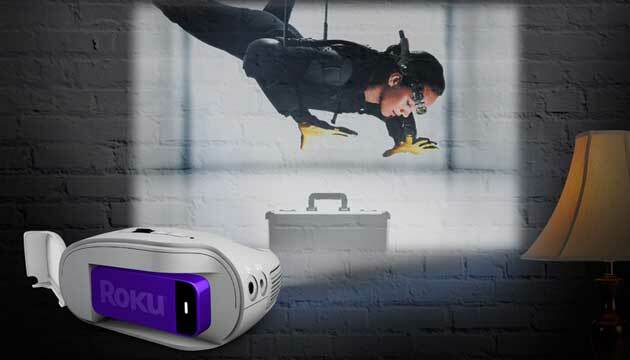 Update: The $170 3M portable wireless projector with Roku streaming stick is back in stock at Groupon. Now nearly $50 under Amazon’s asking price. Groupon has the 3M portable wireless projector with Roku streaming stick for $170 with free shipping, matching the lowest price we’ve ever seen. That’s $130 below the MSRP and $27 under Amazon’s asking price. The projector includes a Roku streaming stick that allows you to stream your favorite online content, including Netflix, Amazon Instant Video, Hulu PLUS and more. User cans even plug this same Roku stick into compatible TVs, making it even easier to enjoy online content in any room. Enjoy DVD-quality content up to 120″ (across) anywhere thanks to the built-in battery which sports up to 2.5 hours of playback (on eco mode). Over 150 Amazon reviewers rate this gadget a stellar 4.5 out 5 stars. If you’re looking for a traditional streaming media player, the Roku 3 is still on sale.